About two hours to the southeast of Paris lies the lush valley of the Loire River as it winds its way through central France. Here, beginning in the early Middle Ages, was the rise of classical feudalism. Lords vying for power constructed large fortresses, later homes, to impress with power and wealth all who would enter their territory. Today the area around the flourishing town of Tours is known as the Château Region. In 66 locations, over a vast area, these relics have regained a presence on the landscape as hotels, museums, and movie sets. The architecture, the grounds, the interiors speak of a time and era very foreign to our modern life. 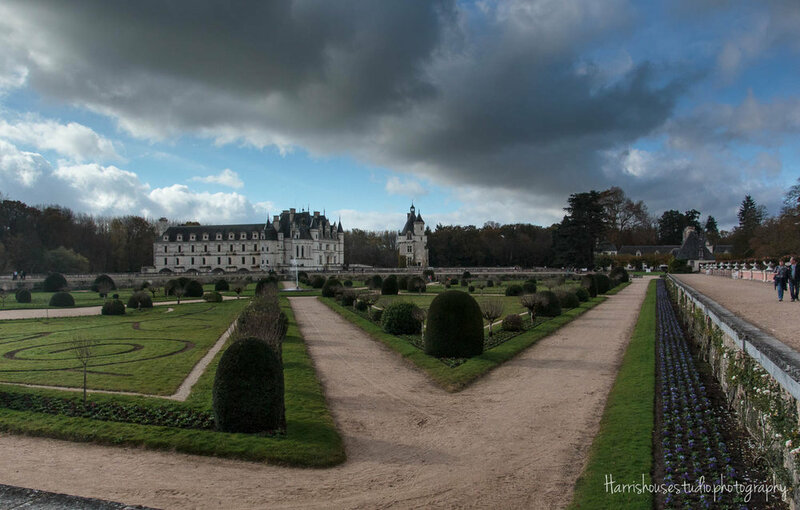 On that beautiful November morning we headed out to Château de Chenonceau and later in the day, Château Royal d'Amboise near the town of Amboise. To see these places in the movies or in a picture is nothing compared to standing in the shadow of such magnificent structures. We arrived at Château de Chenonceau while the morning river fog was clearing. Long tree lined carriage roads, grand entrances, structures that go on and on, gardens that even in the early winter were still being maintained. It was breathtaking, even as it was mind-blowing. Yet, the grandeur was only one part of the story. Here the Kings and future Kings of France would grow and be groomed for their life. Here was the story of Henry II, who married Catherine de Medici and they had several sons ensuring Henry's dynastic pesence. But the real power in the court was Henry's mistress, Diane de Poitiers. Together the two women lived in the Château, agreeing that their lives and the lives of their children were better off if they cooperated. For nearly 20 years, Diane ruled at Chenonceau, until upon the King's untimely death, Catherine was able to take the Château away from Diane and send her far away from the royal son who now became king. Even today their story remains in the garden. Diane's garden is lush, well groomed, elegant. Catherine's rather plain.